Referrals to the TIES program will be accepted from client families, health care providers, alcohol and other drug treatment providers, Children’s Division, Family Court, shelters, and other human service agencies. *Infant or expected infant has been exposed to alcohol, other drugs or HIV during pregnancy. *Family is referred while mother is pregnant OR if postpartum, family is referred at delivery and infant is discharged to parent or other relative. Referrals can be made up to baby’s two weeks of age or longer postpartum if the infant was born prematurely. *Maternal age is 18 years or greater. *Mother is willing to be identified to TIES for program explanation. This agency offers both inpatient and outpatient substance abuse treatment options. Inpatient generally lasts for 21-30 days, while the duration of outpatient treatment lasts for as long as determined by one’s progress. You may bring your children with you to treatment so long as you can provide the adequate paperwork to the agency and they meet the criteria. This agency offers individual and family mental health therapy and substance abuse treatment. This agency offers counseling, stress management, and substance abuse treatment options. Extensive outpatient and aftercare for men, women, and adolescents. This agency offers substance abuse education and treatment to all populations. This agency offers intensive individual and group outpatient substance abuse treatment programs for adolescents and their families. Dismas House of Kansas City currently provides outpatient treatment and recovery support services. Through faith-based services, recovery support and outreach activities, these men and women will engage with the trained professionals who will deliver quality clinical care. This agency offers alcohol and drug counseling and is open to all persons. 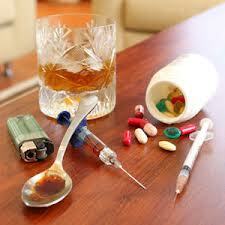 This agency offers individual substance abuse counseling by appointment. This agency offers substance abuse programs for youth ages 7-17 and prep school for behavior management grades K-9, as well as residential treatment for youth ages 7-17. Services include social detox, residental alcohol and drug treatment, as well as outpatient and aftercare treatment for men, women, and women with children. This agency also provides drug and alcohol education, relapse prevention, and individual or group therapy. You may bring your children with you to attend treatment at this agency, although they must meet the criteria and you will need to submit required paperwork. This agency offers substance abuse treatment, as well as psychosocial and psychological support services. This agency offers intensive inpatient and outpatient substance abuse treatment, as well as SATOP. This agency offers dual diagnosis and addiction treatment programs. This agency offers outpatient and inpatient substance abuse treatment as well as community support, medication, crisis intervention, and education services. Only open to Clay, Platte or Ray county residents. Also offers Spanish speaking services. This agency offers inpatient and outpatient drug treatment. Also offers Spanish speaking services. This agency offers both inpatient and outpatient substance abuse treatment. This agency also offers detoxification services.